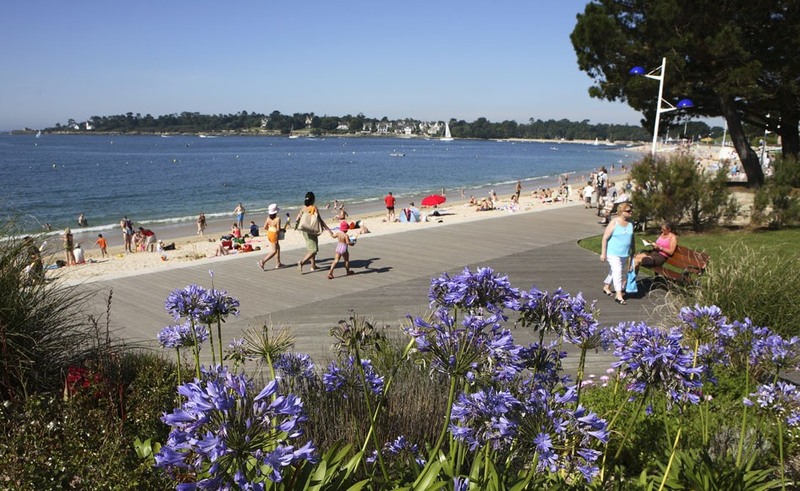 Located at the mouth of the Odet, Benodet is a particularly popular seaside resort on the border of Bigouden and Country Fouesnantais. 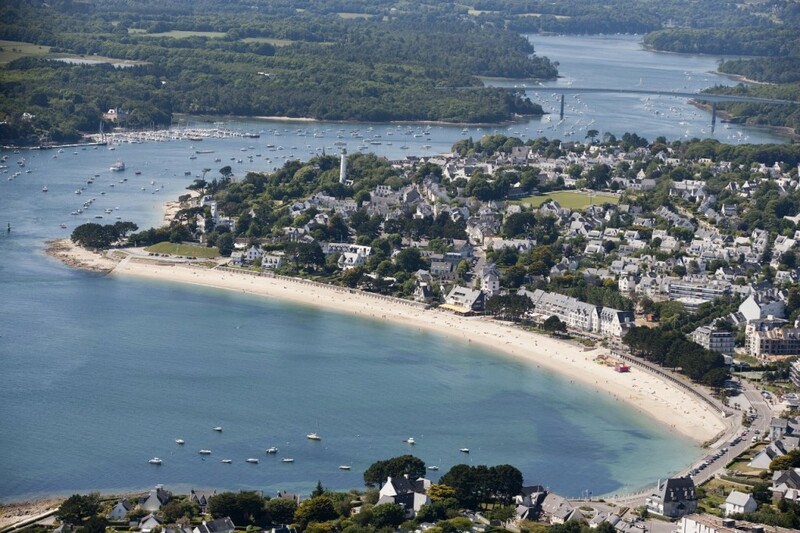 However the beach was still in the “must” in Benodet. At the heart of the resort, the large Trez beach that almost downtown, extends its 800 meters of fine sand facing south and offers multiple activities: Rental of sail boats, dinghies, catamarans, Beach club, Supervised bathing from 01/07 to 31/08, Tiralo floating wheelchair available from the lifeguards in season. Near the Orientation Table, the St Gilles beach, bordered by rocks is a delight for children who will discover the delights of fishing for shellfish, shrimp and crabs. Letty Beach, this preserved natural lagoon is always an exceptional sight. At the end of the Cap Sizun, Pointe du Raz is one of those places where land grand book the ocean his last fight. As if Breton granite, stubborn, refused to let the sea in peace, he plunged into force in its field and tore the edges of its rough edges. He never acknowledged his suzerainty. He contrasts his furies its formidable mass. It claw and scrape when she finally calm, its multiple peaks and rocks which extend. 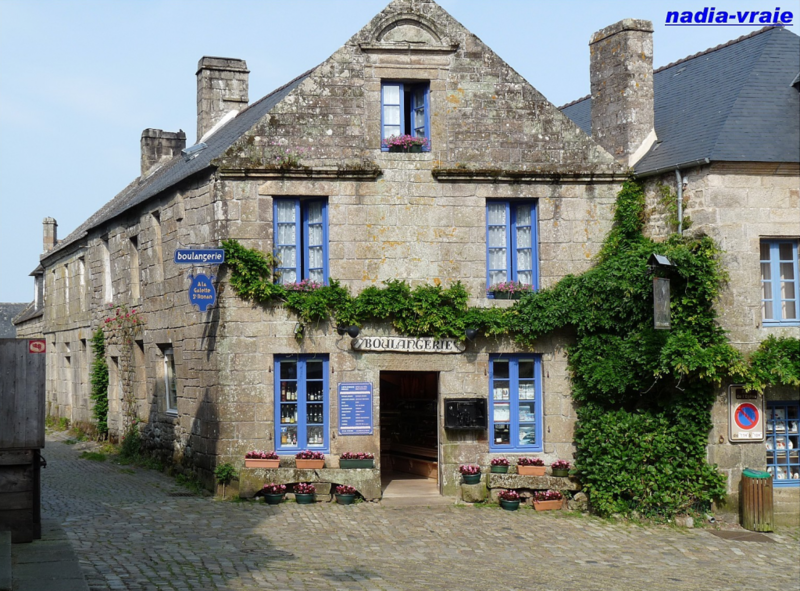 Small town character, Locronan is all dressed stone. Houses the beautiful granite apparatus witnessing its wealth of yesteryear are today setting for many films, but also to many artisans. The church, built from 1420 to 1480, takes the same tunes cathedral because of its imposing square tower. Chapel Pénity (XV-XVI), which is adjoining keeps lying St. Ronan. Historic capital of Cornwall,Quimper is a beautiful medieval town which stands at the confluence of the Steir and Odet. With a stunning cathedral, it is famous for its pottery for the past three hundred years. The old quarters of Quimper, with its cobbled streets, immediately evoke the medieval period. Beautiful half-timbered houses and overhanging line the main streets and squares. Take Guéodet Street, where the house stands out of the Caryatids (XVIe) and street Kéréon that offers a great perpective on the Saint-Corentin cathedral. Beautifully carved and displaying an undeniable Gothic, built between the thirteenth century, with the consecration of the choir in 1287, in XIXe with the construction of two arrows (1854-1856) crowning the towers XVe. The bottom of a gentle river bathed in light, Pont-Aven seduced Gauguin and his friends. The city, also famous for its famous cakes, always knows the popularity of artists. Pont-Aven, a city renowned mills fourteen, fifteen houses. From the Middle Ages, Pont-Aven knows a certain notoriety and prosperity through the implementation of numerous mills along the Aven and its rocky chaos. Beautiful granite houses then stood in the center of town docks are constructed, promoting exchanges on the port. The site, gorgeous, is discovered in the 1860s by American painters who settled there, staying at the Hotel des Voyageurs Julia Guillou. Glénans is a famous sailing school, founded in 1947 by Helen and Philip Viannay, French resistance around the Glénan archipelago in southern Brittany. It is the largest sailing school in Europe: each year, about 14 000 students and 860 instructors (including 800 volunteers) involved more than 100 000 days of sail, under the supervision of 70 permanent employees (and more than 30 additional employees in season). Since its inception, the school has trained more than 360,000 students. The school offers courses in all areas of sailing: dinghy, catamaran, windsurfing, especially cruising, inshore and offshore, which is three-quarters of the activity. Port-la-Forêt is the marina of Fouesnant, one of the largest in Britain, hosted by Kerleven beach and the Cap Coz. 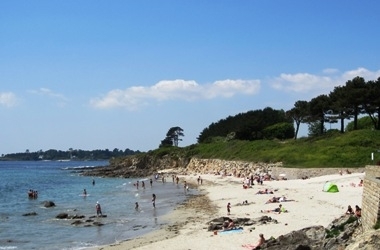 Fouesnant is a seaside resort in the south of the department of Finistère, on the edge of the Atlantic Ocean, and more specifically the “Baie de la Forêt”, between Cap Coz (which is part of the neighboring town of Fouesnant ) and Concarneau, into which the estuary Fouesnant. 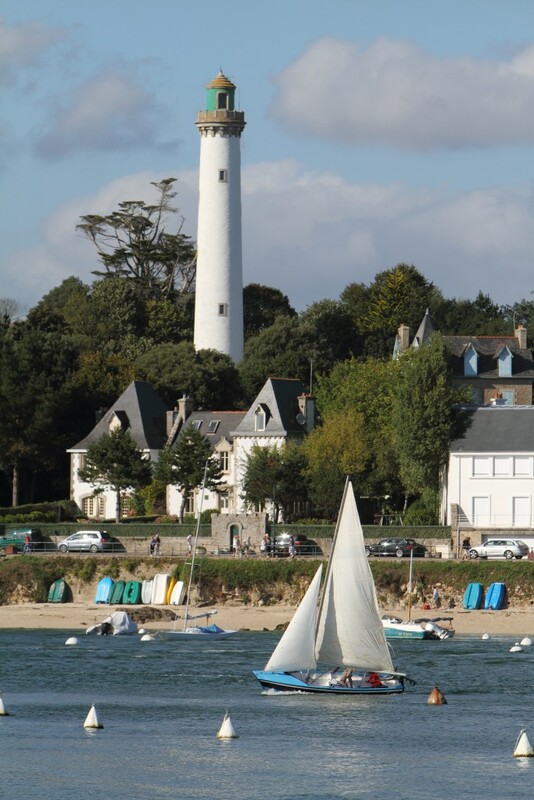 Great resort and port city, Concarneau and its remarkable walled town is one of the most beautiful jewels of Cornwall. This is the nineteenth century that is fortified Concarneau, becoming the fourth strong Britain. The walls were rebuilt in the fifteenth and the city became royal place after the marriage of Anne of Brittany to the king of France. Vauban bring significant changes to fortifications overlooking the walled town it always presents the appearance today, apart from the belfry, which was built in the early twentieth century. Golf in Cornwall, ideally located along the Bay of Fouesnant, 15 km south of Quimper, has an 18-hole course (5682 meters, by 71) combines architectural and technical qualities. 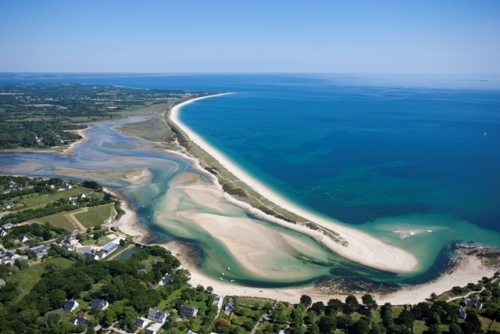 Designed by Fred and Martin Hawtree and opened in 1959, is the oldest golf course on the south coast of Brittany. Since June 1990, when it opened, Océanopolis introduces its 3.5 million visitors in Britain and sea operation oceans. With two new pavilions dedicated to polar and tropical ecosystems, a temperate pavilion completely refurbished, a cinema 3D spaces of shops and restaurants, all surrounded by green spaces, new Océanopolis can make a trip day in the middle of the ocean.